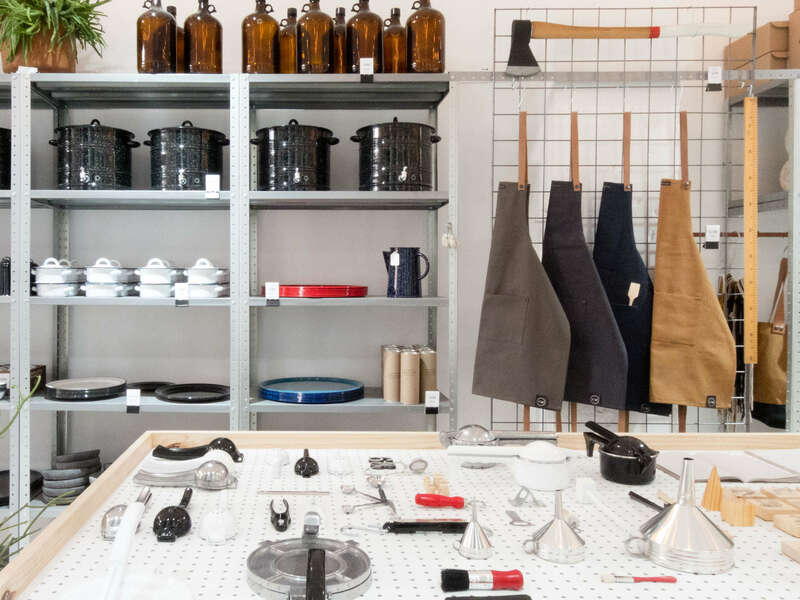 Utilitario Mexicano is a housewares shop in the western section of Centro Histórico curated by a Colombian couple whose lucid philosophy of usefulness and simplicity is visible in every locally made object on the shelves. Limestone mortars and pestles, pewter earthenware, colorful hand-woven oven mitts, extension cords—these are simple, low-tech items that would delight as gifts, but they’re also things that people need day to day. Thus, expect to browse among a mix of residents and visitors.